Tired of burning a new CD every time a new version of your favourite Linux distro comes out? Then stop. Use NetbootCD to download and install your choice of Ubuntu, Debian, Fedora Fedora 15 - Bringing You The Latest In Linux Fedora 15 - Bringing You The Latest In Linux It's another great day in the world of Linux. Fedora 15 was finally released yesterday, and this new release brings a massive amount of changes compared to Fedora 14. In fact, there's so many changes... Read More , openSUSE, Mandriva, CentOS or Slackware from a single disk. This handy disk downloads and runs the net installation tools for several distros, and is always capable of finding the latest version of your Linux operating system. Burn this tool once and you’ll never need to burn a Linux distro to CD again. Using NetbootCD isn’t necessarily easy. You’ll need to learn to use text-based installers instead of the GUI versions found on live CDs. To me though, this is a small price to pay to contain my steadily-growing pile of Linux CDs. You’ll need to use the arrow keys to browse the menu, because your mouse will not work here. Before you start installing anything I highly recommend you run the “download” option. 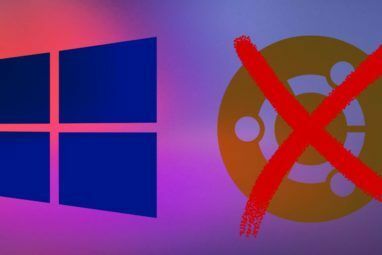 This will ensure you are using the most recent version of the NetbootCD script, and as such have access to the latest versions of your distro. Note that your wireless setup may not play nicely with NetbootCD. To keep things simple, plug your computer directly into your router or modem with an ethernet cable. Eventually your computer will load the net installation tool for your distro. Install the way you normally would, following the prompts and answering any questions. Since every package needs to be downloaded before it is installed, this will take longer than usual. Be sure to choose something or you may end up with a command-line-only system. Note that the spacebar selects your option and enter continues to the next step of installation. 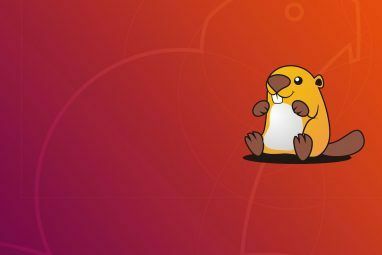 Once you’ve got everything the way you want it, you’re ready to boot into your Linux distro of choice. I really like the idea of only needing one Linux installation CD around for my favorite versions of Linux, as well as future versions. If you like not to waste CDs but still use GUI installation tools, I suggest you check out Unetbootin How To Install Linux With Ease Using UNetbootin How To Install Linux With Ease Using UNetbootin We've already talked about Linux and why you should try it, but probably the hardest part of getting used to Linux is getting it in the first place. For Windows users, the simplest way is... Read More or Linux Live USB Creator Linux Live USB Creator: Easily Boot Linux From Your Flash Drive Linux Live USB Creator: Easily Boot Linux From Your Flash Drive Read More . Both of these tools make it possible to boot Linux from a USB drive or an SD card. How do you like to install Linux? Let us know in the comments below, along with any tips for first-time users of NetbootCD. Explore more about: Debian, Fedora, Ubuntu. NetbootCD looks nice, Justin, but can it help me with a distro like PCLinuxOS, that originally was based in Mandriva?. Sadly it only works with the distros listed above. Sorry! I'm a big fan of Remastersys. Not only is it easy to use but it preserves all your installed packages and conf files into a burnable ISO. Great for replicating desktop or server installations so you don't have to waste time 'tweaking' the install. Won't do network installs though. Wow, this puts a big load on networks :/ Downloading an ISO EACH time you do an install? I'll stick to my booklet of LiveCDs for now until we get fiber installed up to our towers. That's true, which is why I recommend using this only if you install your versions of Linux with each new release. Those with many computers will prefer local disks. I'm a openSUSE user, and I prefer to download the whole FTP distribution to a local fileserver. On that server I have network boot vith BOOTP and TFTP, so I can start the openSUSE installer from there. No more CDs or floppies! I was just about to ask the same question as Iam (above). It would be really neat to use with Virtual Box!!! can I use it in virtual box? You sure can. In fact, all the above screenshots happened in VirtualBox. Does it work PPPoE connection - user and password authentication - from that download menu ? Thanks a lot. Didn't know such tool exists. I'm writing it on CD. Wow! I haven't used my CD-RW for 1 year, 1.5 maybe. I think it'll prove to be useful on other machines I might encounter. As for me I install the gnus from flash. I've been a big fan of YUMI. It allows you to have multiple distributions on a flash drive. I have a 8GB drive filled with Fedora, Ubuntu, Mint, UBCD, and loads of assorted recovery and diagnosis tools. It also comes with its own bootloader to avoid the bootup problems that Ubuntu tends to have with Windows Vista or Win7.Other alternatives include the popular Unetbootin, and Universal Boot Installer. Note that these can only install a single distribution.